Cervélo did not manage to win a Monument of cycling last season despite a string of top ten placings, though Roger Hammond is confident that the team can win at least one this year. “[As far as objectives are concerned it’s] the Tour of Flanders, Paris-Roubaix, Ghent-Wevelgem, E3 Prijs Vlaanderen, I wouldn’t be fussy, but any race is hard to win now,” explained the Briton at the team’s training camp in Portugal. This year Ghent-Wevelgem has moved to the weekend before the Tour of Flanders and this could well change the style of racing says Hammond. “It could be more of a sprinters’ race because E3 Prijs is the day before Ghent and most of the people who want to do Flanders will be looking at the E3. Hammond was optimistic about the team’s abilities come the Spring Classics. “I think on paper, although it’s very easy to say, we have a stronger Classics team than [teams like] Sky”. 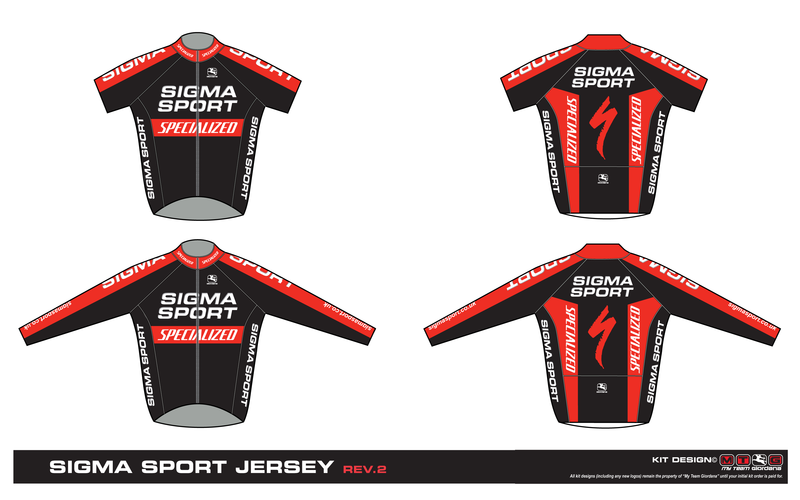 The British Sigma Sport Specialized team has secured a UCI Continental licence, testament to its increased investment and loftier ambitions this season. The team will be riding the Premier Calendar and will aim for further success after Wouter Sybrandy’s win in the 2009 East Yorkshire Classic. As with last year, the team will have a dual programme as the year progresses, with riders spread between road races and the Tour Series (where the team was fifth last year) and the National Criterium Series. The team will also be heading back to the Irish RAS once again, to defend Simon Richardson’s 2009 overall win and with Kit Gilham aiming to reclaim his 2008 king of the mountains jersey. In addition to the domestic racing, the team hopes to ride in UCI stage races and one-day races, with the exact calendar to be confirmed in the coming weeks, although it is hoping to be invited to the Tours of Ireland and Britain. The team is expected to kick off the year with the Paris -Troyes UCI 1.2-ranked semi-classic on March 14 following a training camp in Tuscany towards the end of February. See www.cyclingweekly.com this week for the full analysis of all the major British teams. There was a fair bit of British interest at last week’s Six Days of Rotterdam, with young pairs hitting the track in both men’s and women’s competitions. In the men’s UIV Talent Cup, for U23 riders, new Academy duo Chris Whorrall and Tim Kennaugh rode to eleventh place, six laps down on home winners Bram Imming and Willy Heeneman. Meanwhile, in the women’s six-day event, teenage Academy pair Katie Colclough and Lucy Martin narrowly edged out compatriots Alex Greenfield and ODP rider Ruby Miller for fourth place. Though both teams finished on the same lap as their higher-placed rivals, a comparative lack of points garnered from the various events meant that a podium finish was out of the question. Cycling stars of the past and present will be on hand next month when British Cycling celebrates its 50th Anniversary and 2009 Annual Awards – one year late – at a Gala Dinner in Manchester’s Central Convention Centre on Saturday February 20. Sir Chris Hoy, Dave Brailsford and have already confirmed their attendance with other British riders and high profile figures from the sporting world due to attend along with a number of celebrities. The awards on the night will recognise outstanding performances from across all cycling disciplines in 2009, culminating in the induction of the 50 members of the British Cycling Hall of Fame – those who have made an outstanding contribution to the sport over the past five decades. Tickets are priced £120 + VAT per person and £75 + VAT for British Cycling members and can be purchased through cycling clubs. A new organisation called Bike Club has been created as a means of tackling issues relating to health, physical activity, transport and learning barriers for young people aged 10-20 and their families. Bike Club will offer support to groups of young people with training, equipment and facilities that help them use cycling as a way to learn to skills and achieve rewarding experiences. Initial funding has come from Cycling England, an organisation that, supported by the Department for Transport, encourages cycling through a range of initiatives. “I want to put cycling at the very heart of transport planning for the 21st century,” commented Transport Minister Sadiq Khan. “That’s why the Government has more than doubled the budget for Cycling England; why we’ve invested £10 million in our Sustainable Travel Towns programme; why we’ve launched a major £14 million package to transform facilities for cyclists at rail stations; and over 240 major employers have already pledged to implement our new ‘Cycle to Work Guarantee’. See http://bikeclub.org.uk/ for more information.